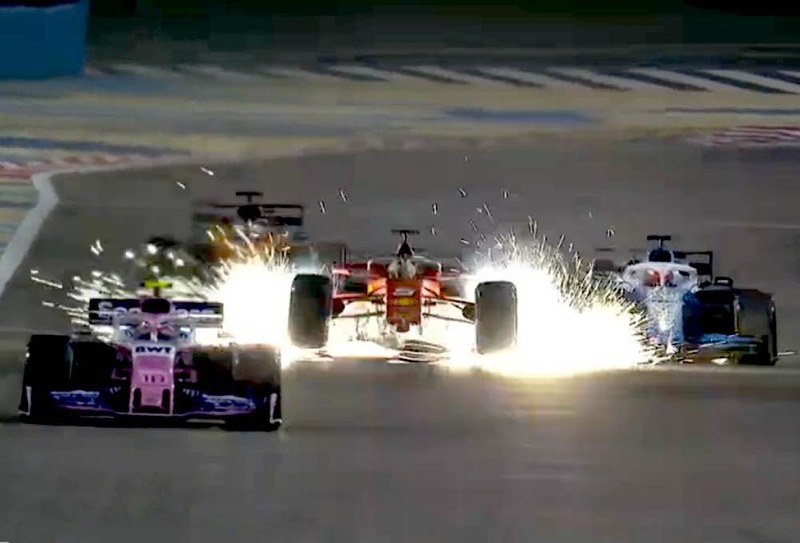 GRAND PRIX: Bahrain: I May Have Seen the Future…..
Sparks flew when the wing let go. 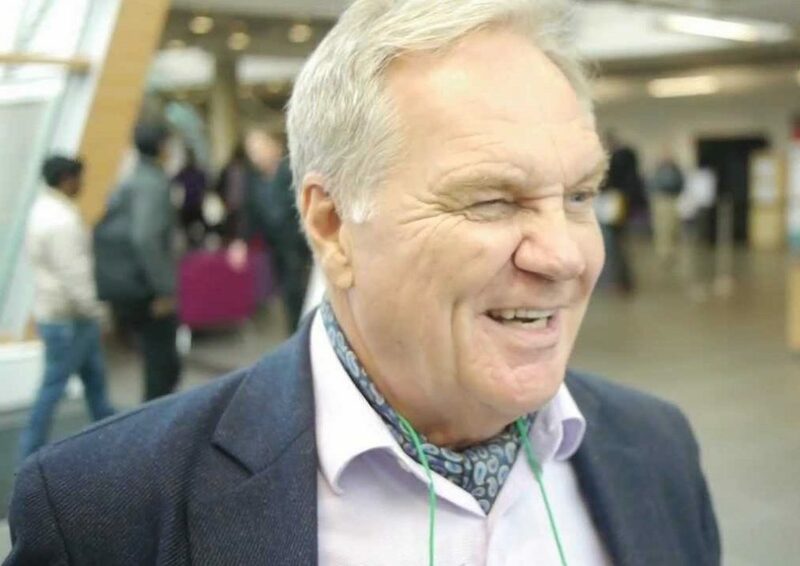 Sir Pat's back at Williams. Keke Rosberg and Alan Jones are awaiting a call. Step with me, if you will, into my time machine, back to Bahrain 2018. The F2 podium consists of Lando Norris, George Russell and Alexander Albon. 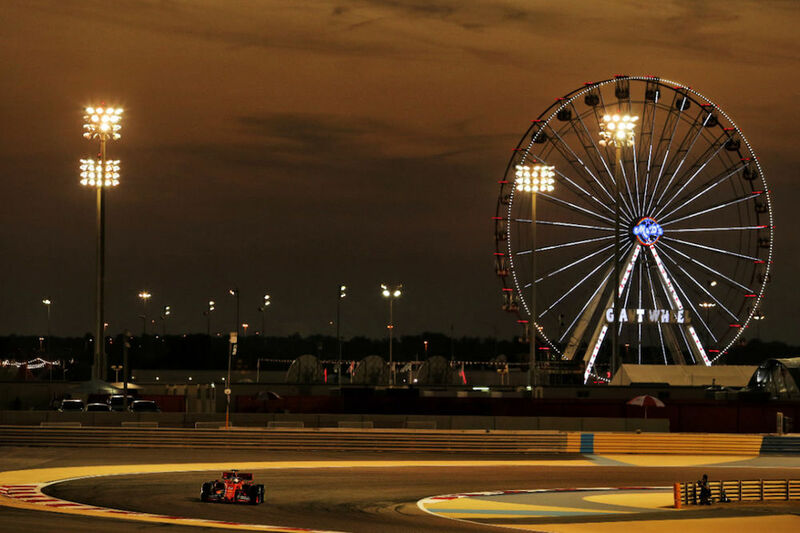 Three Brits, if you count being born in London for Albon as making him British, all of whom acquitted themselves with honour at the Sakhir track this year. 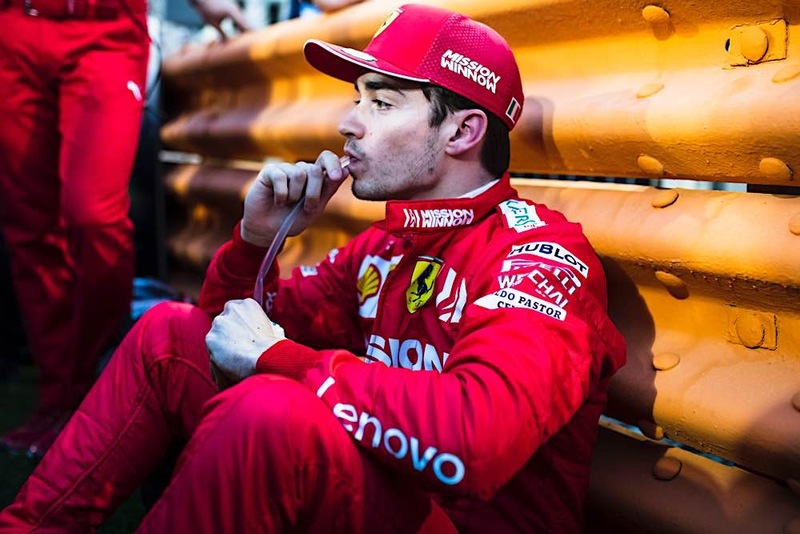 Looking at the 2018 F1 race, Charles Leclerc was 19th qualifier and three places behind team-mate Ericsson in the race, but that rather ordinary performance disguised a talent which looks as though it will eclipse the three F2 graduates. 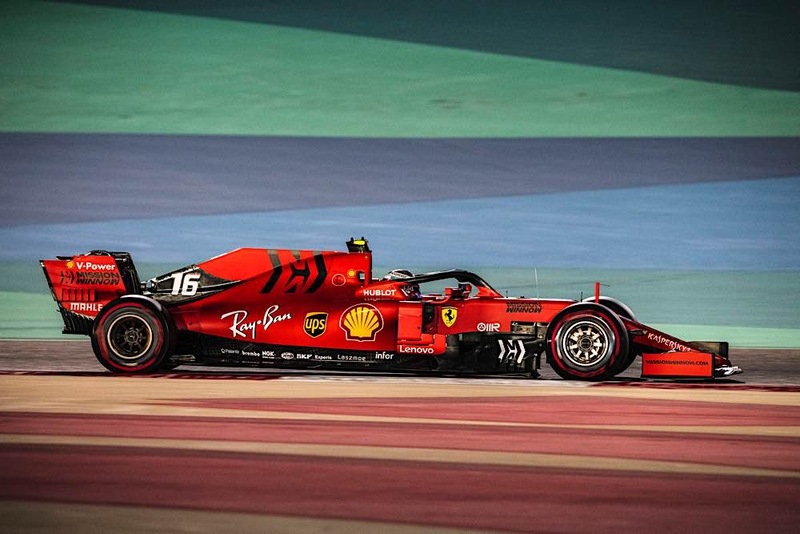 This year, he was dominant in qualifying and ice-cool in the race, showing a maturity which must make Mattia Binotto very happy to have him, whilst perhaps being a bit worried about the effect on Seb. It’s also impressive that he seems to have escaped controversy – he is one of the few drivers to have not had a steward summons this year. But if Seb’s feeling a bit uneasy, spare a thought for Williams. They seem to have gone steadily downhill since Pat Symonds left in 2016. 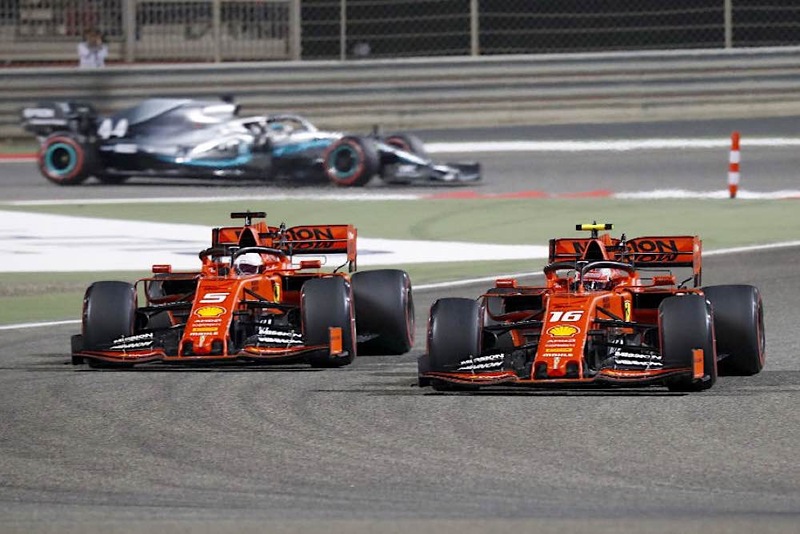 The current troubles seem to stem from a weak aero package compounded by production issues at the factory – Claire referred to parts being of inadequate quality and not available. That must surely be the reason Sir Patrick Head has returned as a consultant. 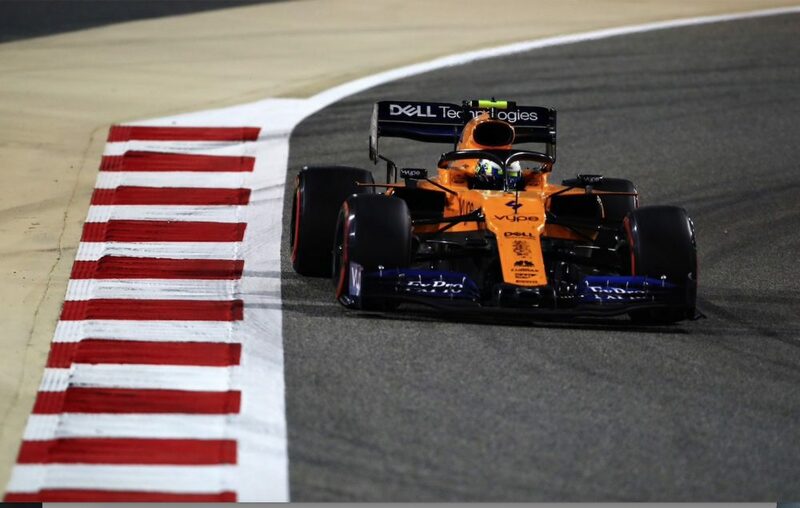 One man can make little difference to the design of a modern F1 car, but by motivating, directing, and probably shouting a bit at the design and production facilities he will hopefully improve the teamwork and efficiency. Ferrari is our chosen team, but surely we all want it to be at the top of a rich, vibrant and competitive sport. As an aside, the FW42 is widely regarded as hopeless, but remember that it’s 3 seconds off pole, and 10 seconds ahead of the F2 cars. Like many readers of this site I can remember the early 1990s when some of the F1 cars times would have been mediocre on F3 support grids. Melbourne had been puzzling for Ferrari fans after the testing performance. It turned out that the engine was not run to its full capabilities because of reliability fears. 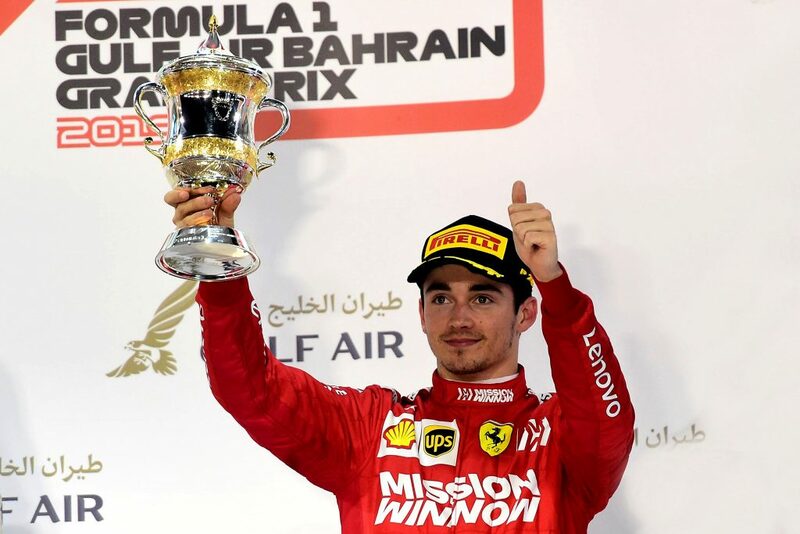 These were put aside in Bahrain, and the result was as close as F1 ever gets to an easy 1-2. Seb had a Q2 run spoilt by traffic, which used up a set of tyres, putting him on the back foot for Q3, which might have assisted Chaz’s confidence. Whatever the reason he was smooth and effective. The grid 1-2 was Ferrari’s 62nd, joining McLaren and Williams with this record. I wonder who will be the first to 63? 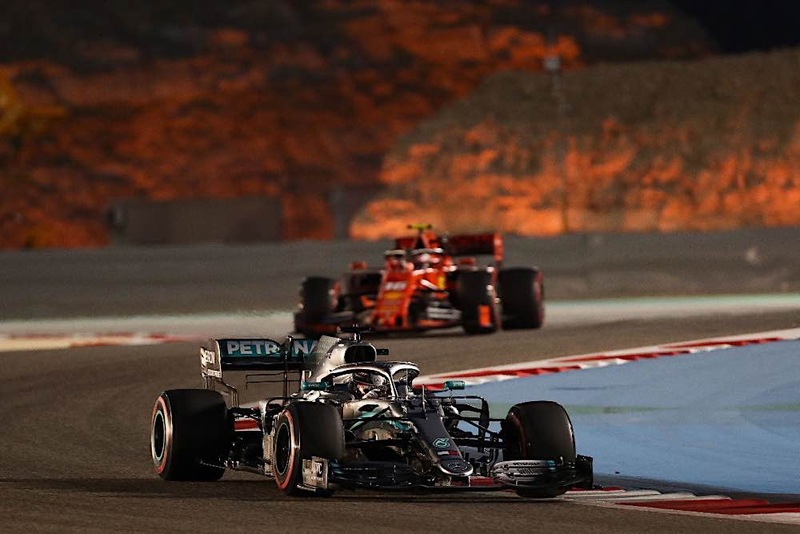 Strangely, if satisfyingly, Mercedes seemed to be both unthreatened and unthreatening in 3rd (Hamilton) and 4th (Bottas), while the efforts of Verstappen rather than the effectiveness of his Red Bull were 5th. I don’t think I’m being controversial in saying I would not put Magnussen (6th) and Grosjean (8th) on a par with the top 5, so perhaps the Ferrari engine and Dallara chassis of the Haas are a bit special. But then again, Carlos Sainz slotted the McLaren into 7th, continuing the “welcome” renaissance of the one-time backmarker of Woking. Unlike Red Bull, they squeezed a second car for young Lando into the top 10, just behind Kimi of Alfa, who rather put Giovanazzi in the shade. So five Ferrari engines in the top 10, which is nice, but also a spread of cars and only the two front rows as pairs. Perhaps the sport is about to get more interesting. Seb made just the better start, and they went side by side into turn 1. You could see Chaz’s mind working – “give him room and live to fight another lap”. Or perhaps “I can’t face Mattia if we both go out.” Whichever, he made the wise decision. Bottas nudged past for second but a slight mistake by him let Chaz past within a lap, followed shortly by Hamilton. During lap 4, Max Verstappen confirmed his hard racing reputation when he touched Sainz who struggled damaged to the pits. No official action was taken, but the jury’s still out on whether Max is too hard for his own good. By lap 5, Chaz was back under Seb’s gearbox and he radioed the pits: “I’m quicker”. We weren’t expecting that a few weeks ago. The absence of team orders was clear as the two raced cleanly and closely through the first few corners of the next lap, the Monagasque ending in front. Leaving aside the pitstop shuffling, the two Ferraris stayed in front for 35 laps. With Leclerc nearly 9 seconds ahead, Seb might have been a bit frustrated, and slightly fearful with Hamilton attempting the undercut. He pitted, but got out 0.8sec ahead of Hamilton. Leclerc followed him and got out back in the lead. There was some interesting duelling between Seb and Ham, where Seb forcefully asserted his position (a euphemism for drove him off the road) but it was all good racing. On lap 38 Hamilton made the DRS assisted pass stick. Then the impossible happened. Like a (very fast) club racer, Seb just spun. No apparent reason, the back just let go, though a loss of downforce due to a strong tailwind was thought to help. The tyre wear during recovery set up a vibration, and while the wing mounts are stressed for massive downforce they aren’t stressed for sideways movement. The wing snapped off and Seb went airborne as he drove over it. Fortunately it did not jam, but the slow return to the pits and the change of nose dropped him to 9th. He passed Norris, Ricciardo and Hulkenberg to finish 5th behind Verstappen. Disappointing for us, but Chaz was still leading. We all know what happened next. With 12 laps left he radio’d the pits to say he was down on power. ERS-h or MGU-h (the turbo) was initially blamed but Binotto later said that the engine was a cylinder down. As no engine change has been announced, it sounds like something simple. Needless to say, a loss of around 160bhp made him easy pickings for Hamilton and Bottas. It looked as though Verstappen, despite worn tyres, would also take him when on lap 54 Hulkenberg and Ricciardo went out on the same corner. Hulkenberg had a very polite and undramatic blow up while Ricciardo had a sudden cut-out. It turned out to be KERS related and he was told to jump from the car to avoid potential electrocution. This made attaching the steering wheel impossible, and so recovery was hampered. A safety car for 3 laps to the finish froze the results, which probably frustrated Verstappen but it did mean Leclerc got a well deserved podium. The top six was completed by Norris, and it seems strange to call McLaren first of “Formula1B”, both because of their poor recent and impressive distant history. 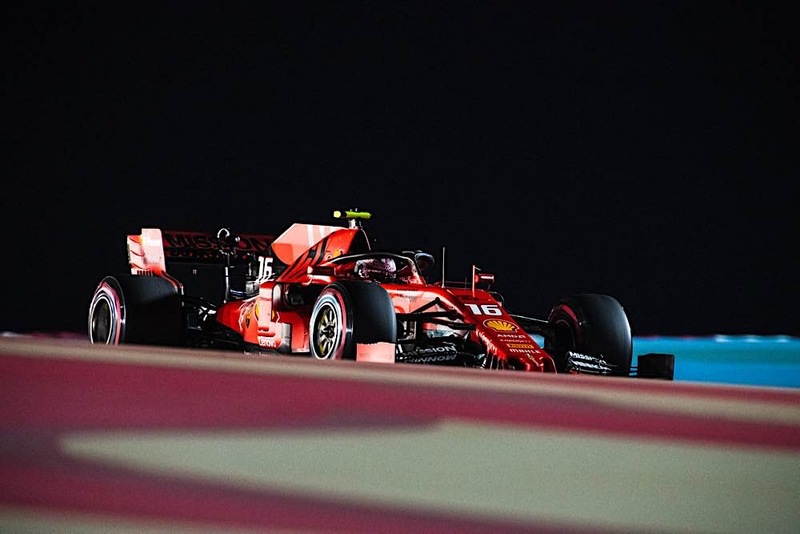 Kimi finished 7th, 10 seconds ahead of Gasly. Red Bull must be thinking that only the talent and force of Verstappen stopped the cars looking distinctly second rate. As the next car up in 9th was Albon in the Toro Rosso, only 4 seconds behind, my guess is that Gasly might be checking whether his name is attached to the car with Velcro. Finally, where would a top 10 be without a Force India, or Sport Pesa Racing Point, as they’re called until the next insolvency. In this case it was Perez. 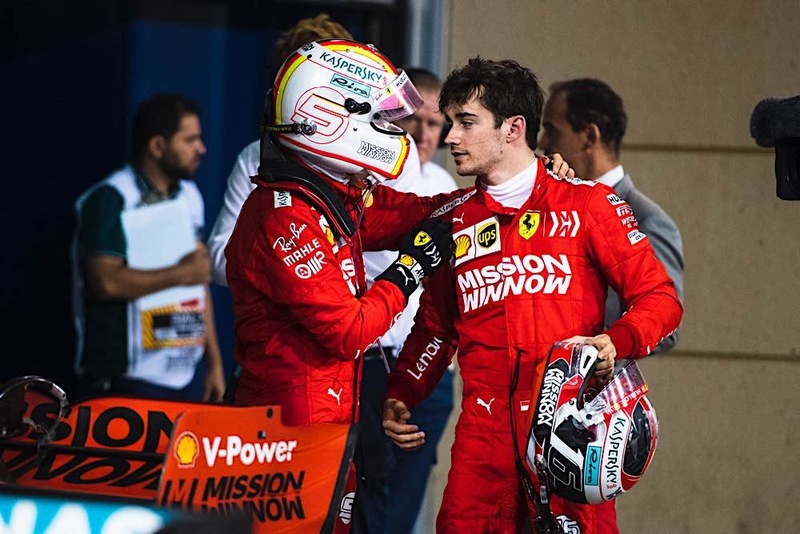 Leclerc endeared himself still further after the race by apologising to the team for the result. He did nothing wrong in the race, and drove with great maturity. 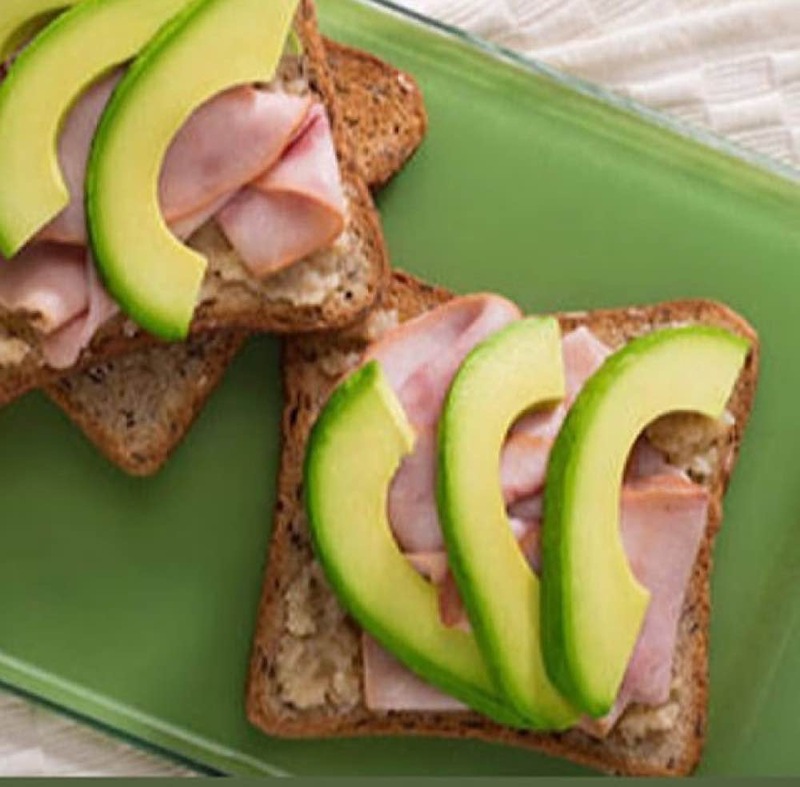 He received praise from his peers so let’s hope this flash of genius continues. Even more so, let’s hope that the high power settings of the SF90 can continue be used without compromising reliability, hitherto a consistent strong point of the Scuderia. I can do no better than close this report with my reaction to both Ferrari incidents the way my good friend and colleague Winston opened his Melbourne’s report: “Well, that wasn’t supposed to have happened…”.